I did it! 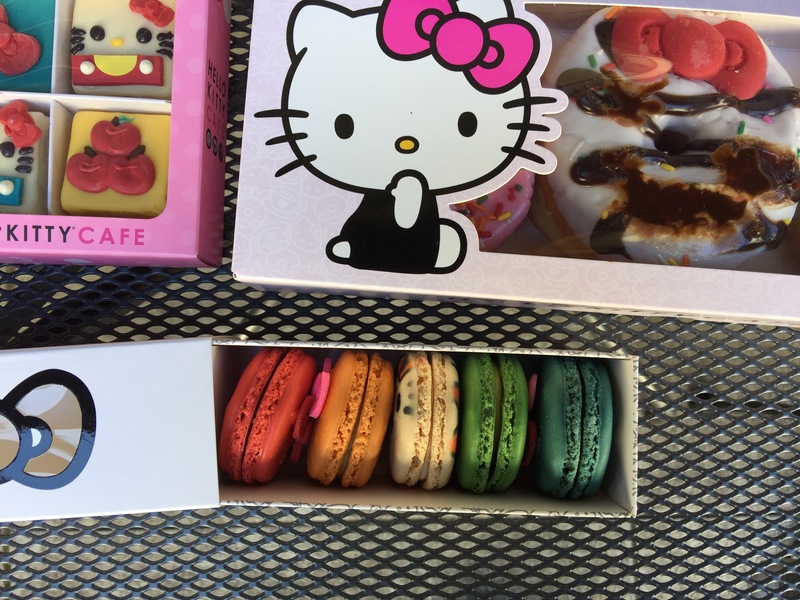 I went to the Hello Kitty Cafe truck…finally! But it was completely on a whim. My parents were in town and heard about the Japantown Cherry Blossom Festival so we went. And we found parking! And we explored. And I saw the famous pink truck. And I left my family to stand in line. Ha! I was expecting a long wait considering the line length, but it went by fairly quickly. 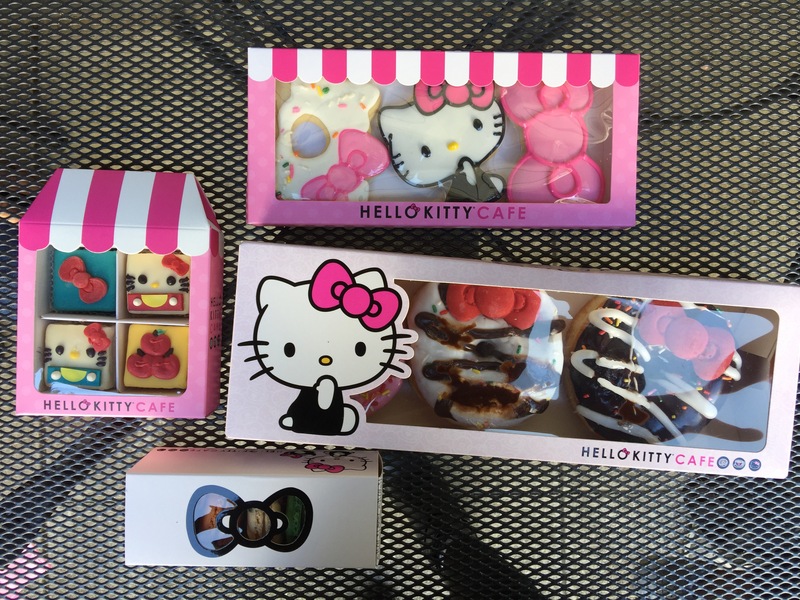 On the menu: Hello Kitty decorated cookies, mini cakes, macarons, and donuts; plus shirts and mugs. Deciding among the available desserts was easy: get one of each! Where my fellow Hello Kitty fans at? Have you been to the truck or cafe? Share below!